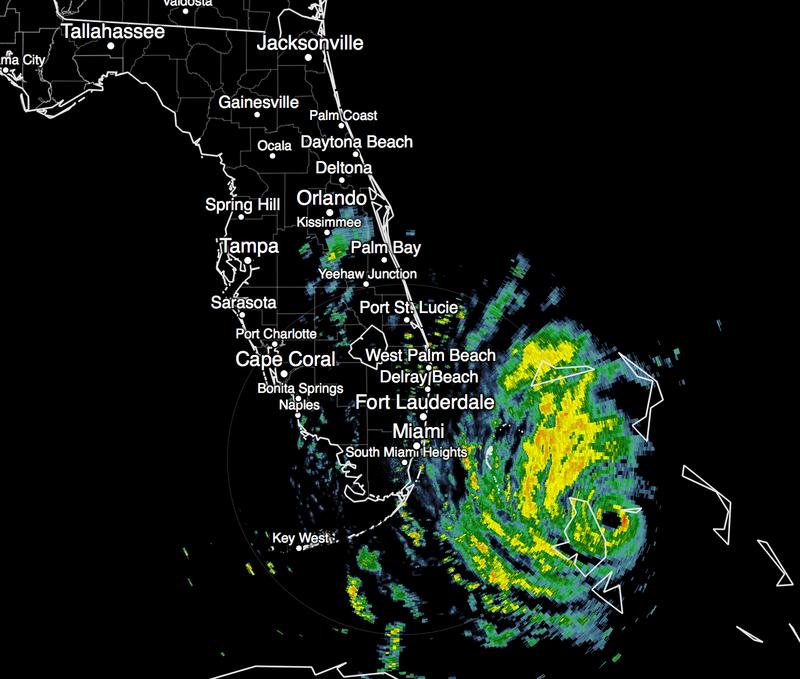 The well-defined eye, of a re-strengthening hurricane, is now visible from the Miami radar. I really don't have a lot to add from the update immediately below. 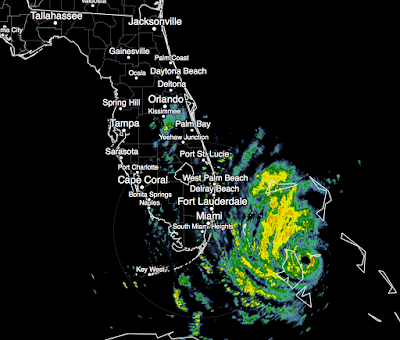 The Hurricane Warning continues to extend from Miami north to halfway up the Georgia coast. Please prepare accordingly!